Miller Theatre | Will You Miss Me When I'm Gone? Bang on a Can cofounder and composer Julia Wolfe gets the full attention on Miller Theatre’s Composer Portraits series on Thursday, Feb. 3. The show features two New York premieres that demonstrate the depth and breadth of Julia’s work. On the 80-minute program are Cruel Sister (2004), based on a grisly English tale of sibling rivalry, and Fuel (2007), a collaboration with filmmaker Bill Morrison that examines the impact of our dependence on the title subject. You can hear more of Julia’s thoughts on the program in Miller Theatre’s video preview of the concert. You can read the complete program notes here. 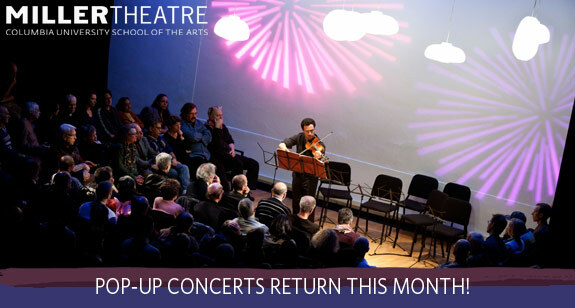 Julia’s music will be performed by the incomparable New Music ensemble Signal, led by Brad Lubman, the concert will also include an onstage discussion with Julia and WNYC’s John Schaefer. 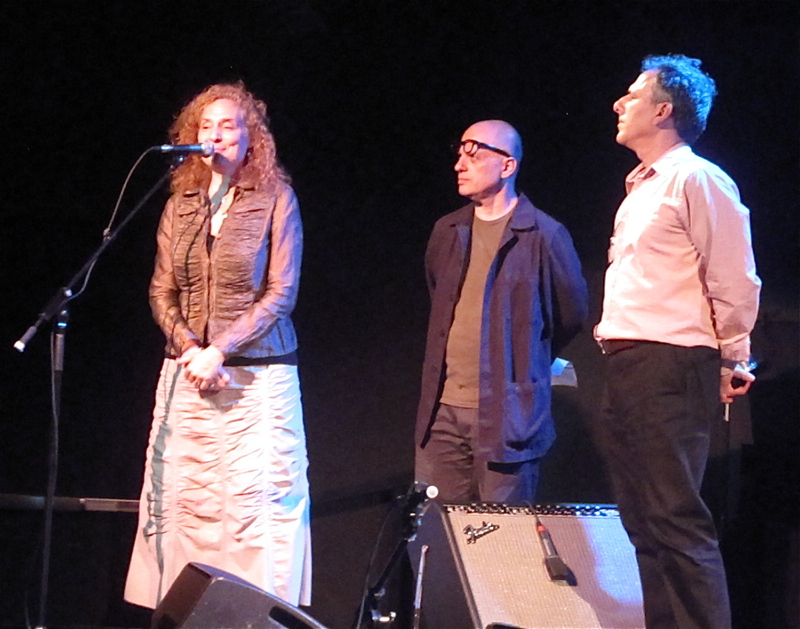 For more from Julia Wolfe, read her interview about this performance in The New York Times. 8 p.m., Thursday, Feb. 3. Miller Theatre at Columbia University, 116th St. & Broadway. http://www.millertheatre.com. $25. Tickets are available online or at the box office. 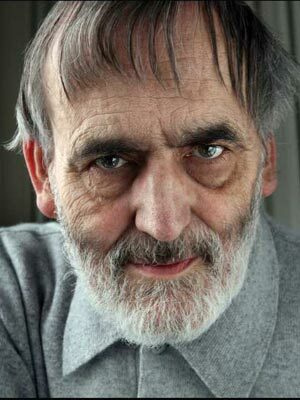 Composer Helmut Lachenmann joins Signal Enselmble and JACK Quartet to celebrate his 75th birthday on Saturday night. German composer Helmut Lachenmann celebrates his 75th birthday at Columbia University’s Miller Theatre tonight when he joins Signal Ensemble and JACK Quartet for the final Composer Portrait concert of the Miller season. The audience will have the rare chance to hear Lachenmann playing 2 of his solo piano works, and he will also be joining Signal as the spoken text soloist on one piece. Additionally, cellist Lauren Radnofsky (Signal’s executive director) will be playing Pression, a wild 1969 piece for solo cello, The JACK Quartet (which includes violist John Pickford Richards, well known to New York audiences for his work with Alarm Will Sound) will be joining Signal in the ensemble and also performing his most difficult string quartet. And go to YouTube to see and hear Lachenmann playing his Wiegenmusick, which is on tonight’s program. This is one of Signal’s biggest projects to date, and is expected to lead to a CD/surround sound DVD release. It’s also a chance to hear the wonderfully flexible and talented Signal, directed by Brad Lubman, perform Lachenmann’s challenging compositions, which are somewhat different than its typical repertoire. The program covers four decades of Lachenmann’s composing life with these pieces: Wiegenmusik for solo piano (1963), Pression for solo cello (1969-1970), Ein Kinderspiel for solo piano (1980), String Quartet No. 2 Reigen seliger Geister (1989) and …Zwei Gefühle… featuring Lachenmann himself as spoken-text soloist (1991-1992). The evening will also include a discussion with Lachenmann and Yale professor Seth Brodsky. It should be an amazing evening of music. Composer Portrait: Helmut Lachenmann, 8 pm tonight, Thursday, April 1, Miller Theatre, 116th St. & Broadway on the campus of Columbia University. Tickets $25, available online and at the door.